The organization began to promote and distribute Sikh Literatures. The Sewa is “nikam” (without name). Our organization has no political or social aspiration. Our Cost of Operation is completely free of charge, including free shipping, which is donated (Sewa) by our associates. Free to All over USA, Canada, Mexico and Europe, over 3000 have been distributed. Free to All over USA, Canada, Mexico and Europe, over 5000 have been distributed. Free to All over USA, Canada, Mexico and Europe, over 100,000 have been distributed. We distribute Palkis for SGGS at no profit at sikhlink.com, over 1200 have been distributed. In process of manufacturing patkas to distribute to Sikh Prisoners (Majority are there for immigration offences) in USA prisons. Sikh Gurbani books to Sikh prisoners in USA prisons. For children from low income family, which is run in Kalkaji, New Delhi and additionally other schools are given Financial aid in Terms of Teachers, Supplies and shoes for Kids. 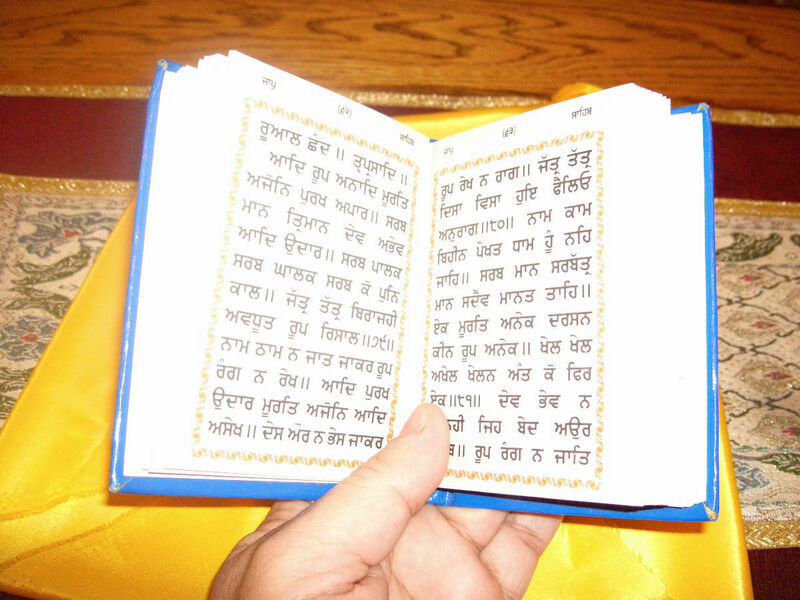 Several Volunteers are working on the Project on Translation of Guru Granth Sahib in English, and the progress can be seen at SGGSonline.com, we are currently at page 514. Get involved with your local Prisons, we will provide all books, Patkas, all you have to do is to contact the Chaplain of the Prison and we will mail the material.